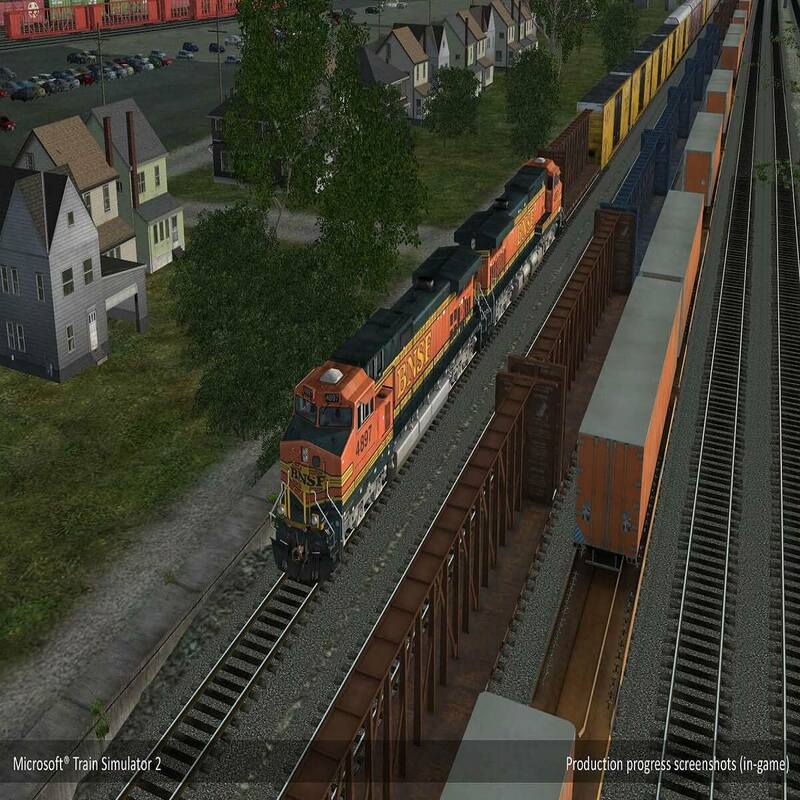 Even though we’re witnessing the peak of the gaming advancements, some users still prefer old, once favorite titles like Microsoft’s Train Simulator. The game created by Microsoft back in 2001 still has a place in its niche, with the formidable player base. 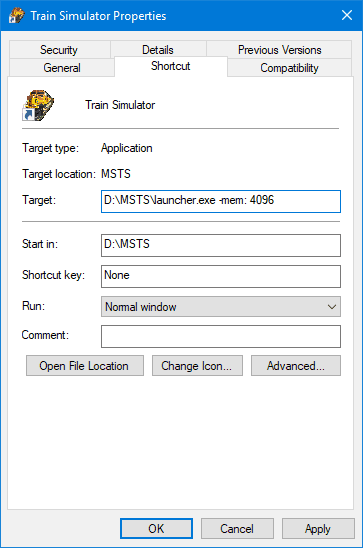 However, it’s not all bread and butter for those who, in reminiscence of the good old days, try to run Train Simulator on Windows 10. 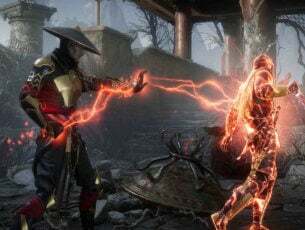 Those who tried had a lot of issues with starting the game. The ones that sprang over the first obstacle, experienced an abundance of crashes and various errors. Now, let me assure you that this game can be played on something that’s not Windows 98 or ME. But, there’s a long road (or rail, if you like it better) before us, with plenty of tasks. So, get your dusty CD box out and follow the steps below. This might seem strange but, supposedly, this game requires Nvidia graphics cards exclusively. Meaning that ATI/AMD graphics just won’t fit the pretty outdated engine. With that in mind, everything else should be just spot on. Basically, since the game was introduced at the start of the century and it’s 16 years old, you can almost run it on a calculator. But, the calculator powered with the Nvidia graphics adapter, nonetheless. If you pack a dual-GPU configuration, with, say, ATI and integrated Intel combo, just force the game to run with the integrated GPU. That should eliminate the GPU-related obstacles and we can safely move to the preparation segment. 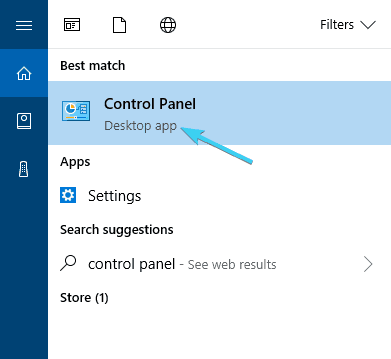 In the Windows Search bar, type Control and open Control Panel. From the Category view, select Uninstall a program. 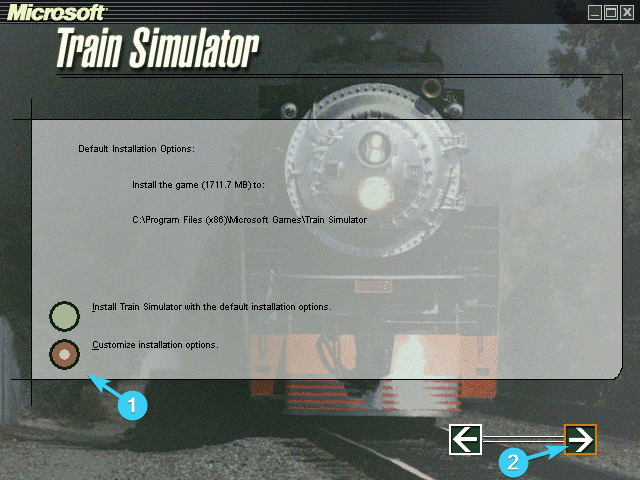 Navigate to Microsoft Train Simulator, right-click on it and uninstall it. 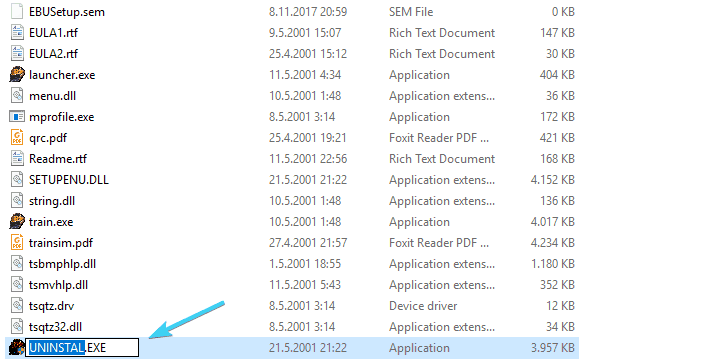 Navigate to Program Files (or Program Files x86) and AppData folders respectively and delete everything you manually inserted. Once we dealt with that, there are some peculiar but nonetheless essential steps you should take before the installation. 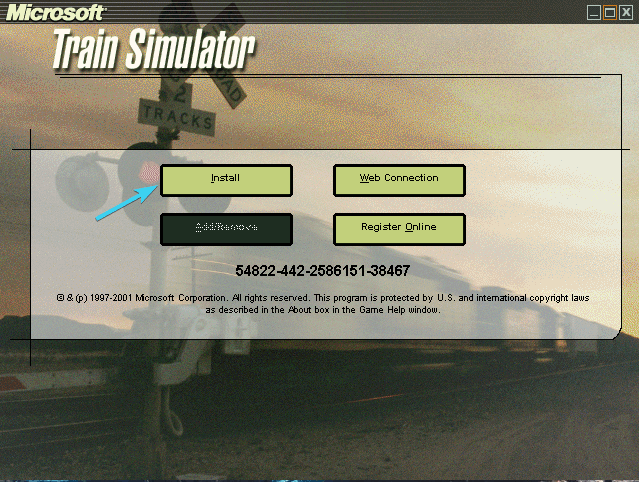 Namely, it seems that UAC (User Account Control) blocks Train Simulator installation. That’s self-explanatory if we take into consideration the complete absence of retroactive legacy support for old games in Windows 10. In addition, you should probably disable the internet connection while installing the game, too. Now, to avoid all this fuss, we advise you to use this nifty tool to ‘silent’ UAC for the remainder of the installation. You can download it here. Run it prior to installation and move forward. 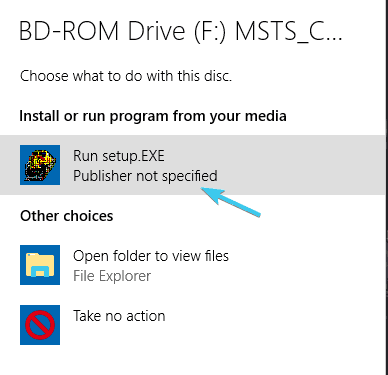 Insert the first installation disk in the CD-ROM compartment and, once prompted, select Run Setup.exe. Click on the right arrow. Decline Adobe Acrobat Reader 4 offer politely by clicking on No. Click on Customize installation options and then on the right arrow again. Select the ”Complete install” option. 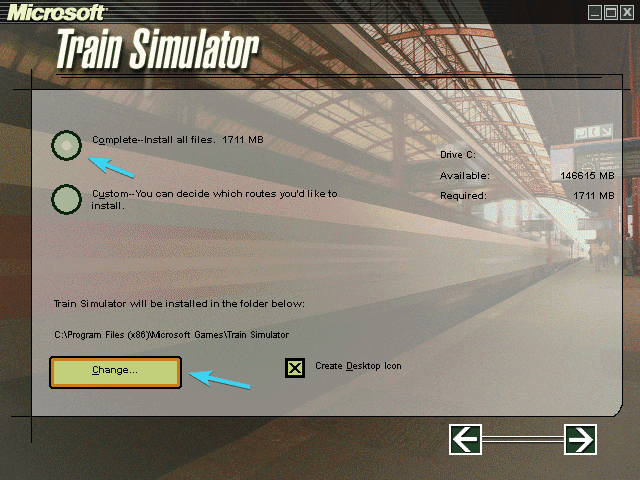 Under the ”Train simulator will be installed in the folder below”, click Change and then on the right arrow. Click OK and let the installer to create the new folder. Right arrow again. When prompted at 27%, insert the second disc and click OK.
Once the installation ends, click on the Restart button. 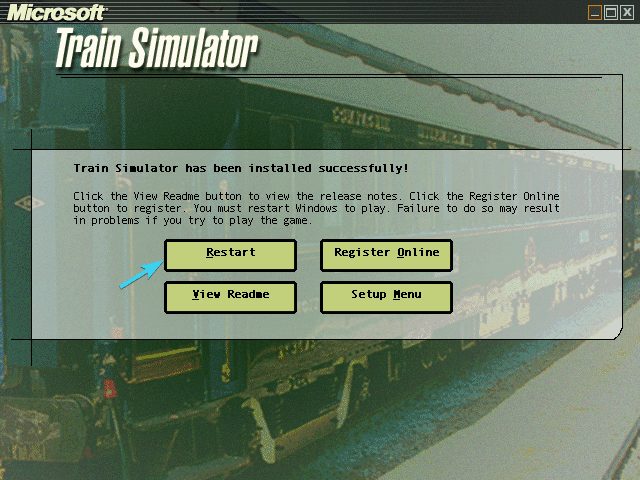 Don’t start the Train Simulator yet. That should do it in regards to installing. 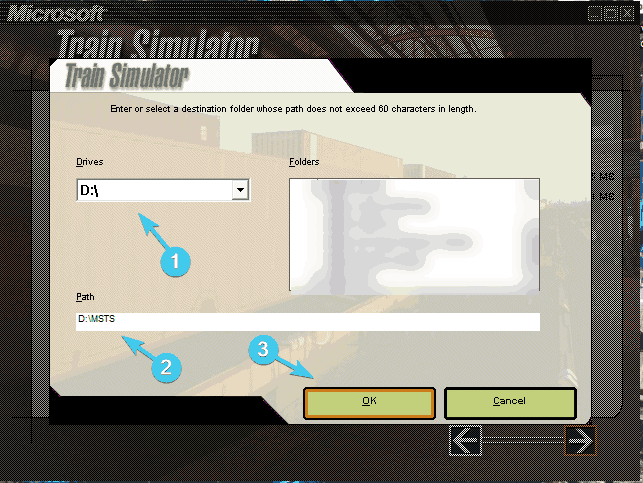 But, before we can start the game, there are still some additional steps you can’t skip in order for Train Simulator to work. Updating is also essential and you’ll need to sort things out with updates before you can run the game. The official 1.4 update is what you’ll be needing. Now, there’s a chance that your game is already up-to-date with version 1.4, and you can check that out easily. Just navigate to the installation folder and locate the Transaction folder. In there you should see SD402 or Class50 inter alia. Hence, if there are no such files, make sure to download and install the update. Download the update 1.4 by clicking on this link. Run the zipped installer and switch the default path with the path that leads to Train Simulator installation folder (e.g. D:MSTS). In addition, you can download the additional patches here. 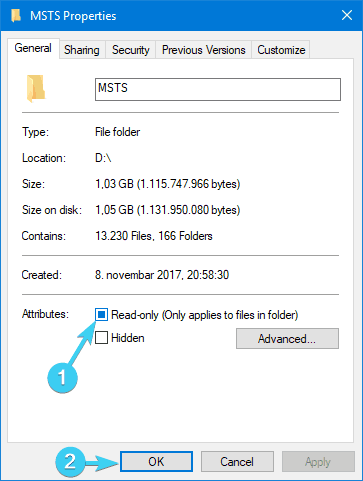 They’re not as important but we advise you to install both of them (MSTS v1.4 Class 50 Content and MSTS v1.4 SD40-2 Content). After that’s sorted out, let’s move to the configuring part of this epochal journey. 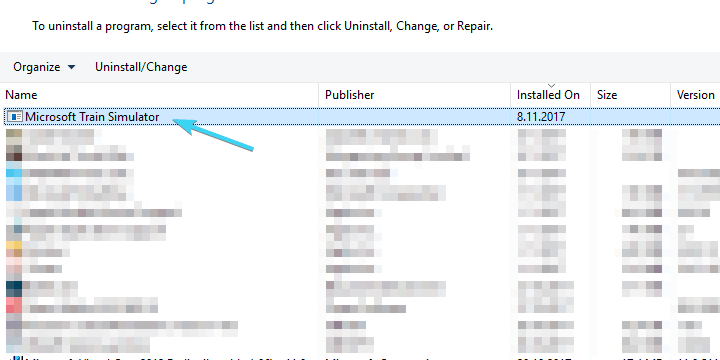 Navigate to the installation folder, right-click on it and open Properties. Under the General tab, uncheck the Read Only box. 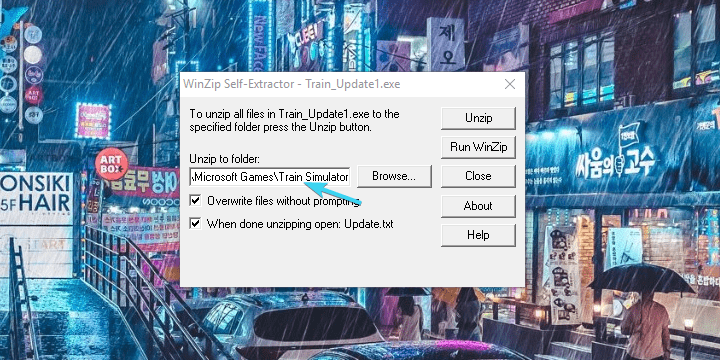 Now, open the installation folder, right-click on the ”train.exe” file and open Properties. 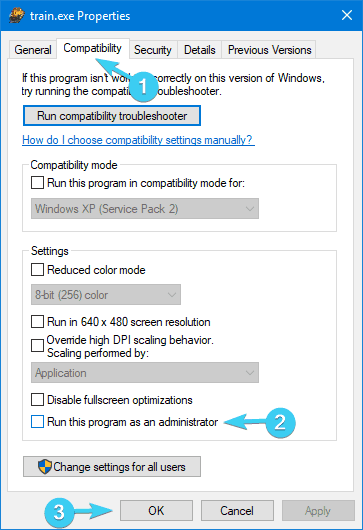 In the Compatibility tab, check the ”Run this program as an administrator” and confirm changes. Open the installation folder and rename Uninstall.exe to MSTS_Uninstal.exe. 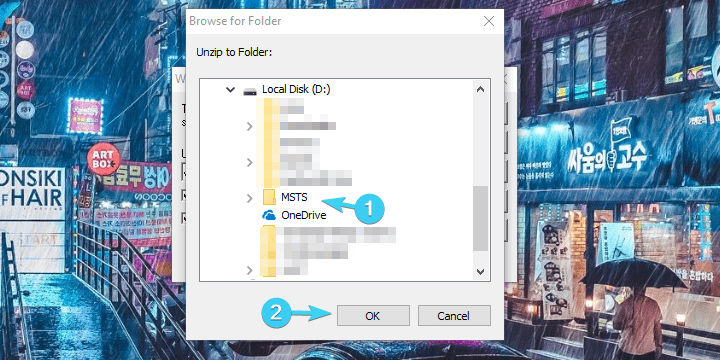 While there, copy the ”Global” folder and paste it somewhere as a backup. Just in case something goes wrong after the next step. 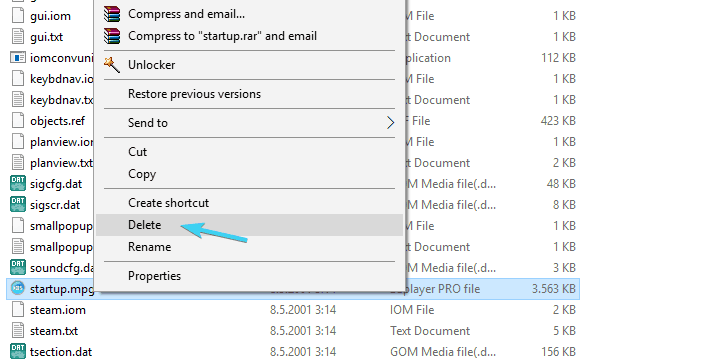 Open the ”Global” folder and delete the ”startup.mpg” video file. Insert Disk 1 again and open its content. 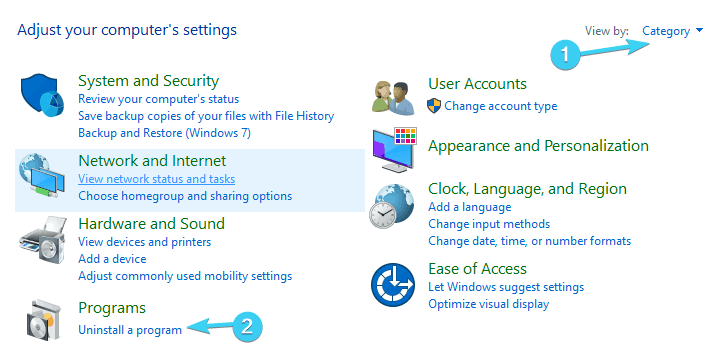 Open the File Explorer or This PC, right-click on the Disk 1 and choose Open. Open the ”TechDocs” folder and run the TechDocs.exe. Select the installation path and extract the files. That’s it. Almost. We have a few more tweaks before you can finally start the game. In case you’re asking yourself ”What more?”, we need to stress that game like this will have a hard time with 16:9 widescreen monitors. It’s designed for 4:3 aspect ratio, so you’ll need to force the widescreen within the GPU settings. This option is different on Nvidia and Intel graphics, but it’s enough to point you to the ”Image scaling” option. Find that and you’ll have an easy time setting up the 16:9 aspect ratio. 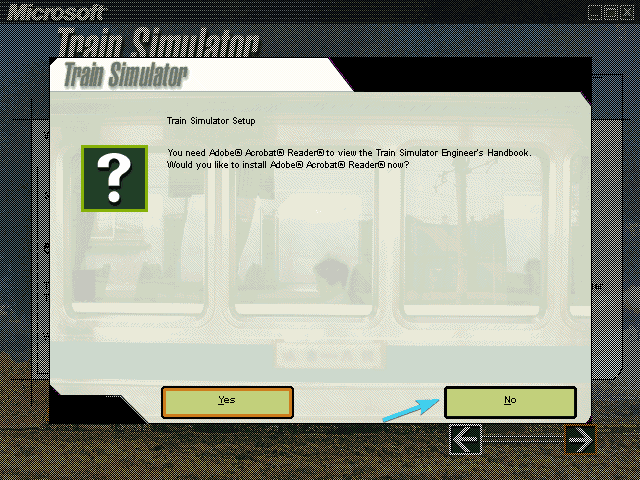 Right-click the Train Simulator shortcut and open Properties. That should make the game run much smoother. Moreover, in case you experience any error when the game starts, download and run this installer which should fix most of them. That should do it. Now you can, finally, after the immense effort, start the game. Xtracks – large pack of track pieces, switches, and crossovers. Newroads – more of those with some bonus surroundings. ScaleRail – improved realism with better-scaled rails. And that’s finally the closure. We hope that, after all of this, you’ll seamlessly embark on the nostalgia train and enjoy one of the ”founding fathers” of the simulation genre. In case you have some issues or questions regarding Train Simulator, make sure to tell us in the comments below. 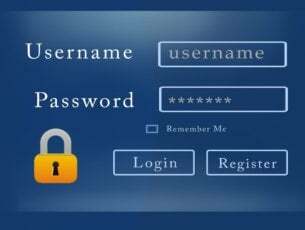 Editor’s Note: This post was originally published in August 2014 and has been since completely revamped and updated for freshness, accuracy, and comprehensiveness.